I’ve got a fun 15 minutes craft for you all that I love and it’s my first Halloween craft of the year. 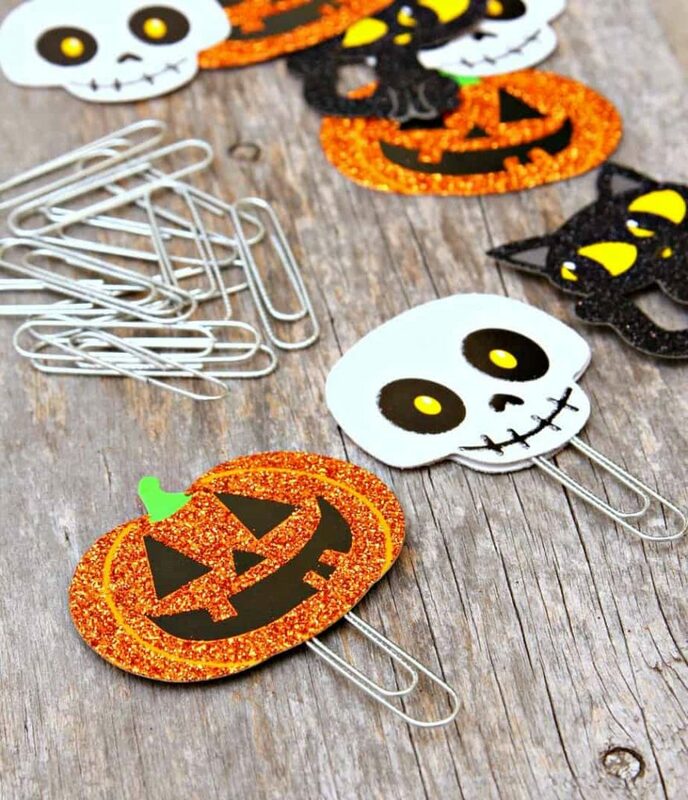 These Halloween Paperclip Bookmarks are inexpensive, easy and super cute. Connor asked for a bookmark for his library books and this is what we made. I also made a whole bunch to take to school so I can give them out to my students. Glue end of paperclip to back of Halloween shape. Cover back of shape with felt. Connor and I made about 20 in less than 15 minutes. I love the glitter Halloween chipboard shapes that I found at Walmart. I found it in the Halloween section and the bag said it was confetti. You could also use foam stickers or regular stickers. What 15 minute Halloween crafts have you made lately? Unquestionably imagine that which you stated. Your favorite justification seemed to be around the internet the easiest factor to be mindful of. they can just do not understand about. You controlled hitting the nail upon the best and defined out the whole thing with out side-effects , folks could require a signal.